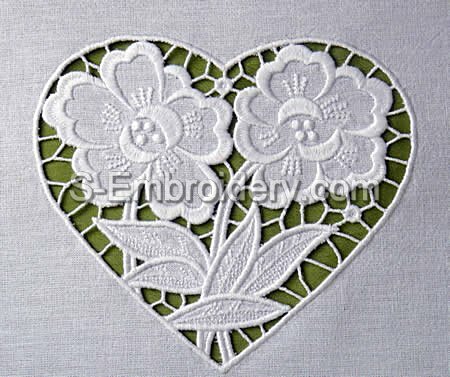 A nice floral cutwork lace heart machine embroidery design. 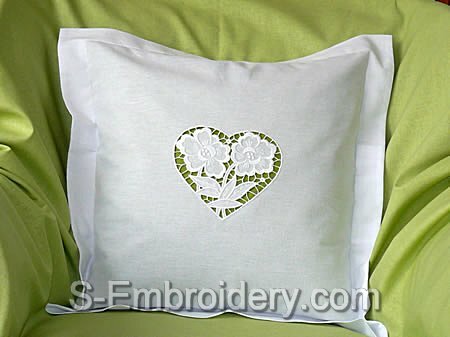 Can be used as a decoration in various embroidery projects. We have included instructions for decorating a pillow case.